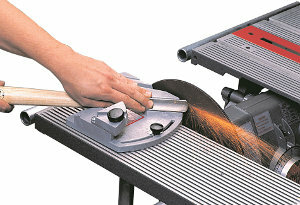 Sharp lathe chisels are essential for turning bowls or spindles. But, how many times have you tried to get that precise cutting edge on a lathe chisel... and failed ? 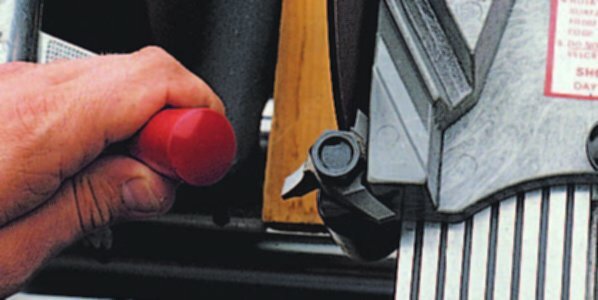 We've eliminated the guesswork by developing a guide that lets you put a super sharp cutting edge on all your chisels - lathe and bench types. The Sharpening Guide mounts on your Mark 7 or Mark V and has been specially designed to give you a variety of preset angle settings for skew chisels, gouge chisels, roundnose chisels, parting tools, bench chisels and even shaper cutters. 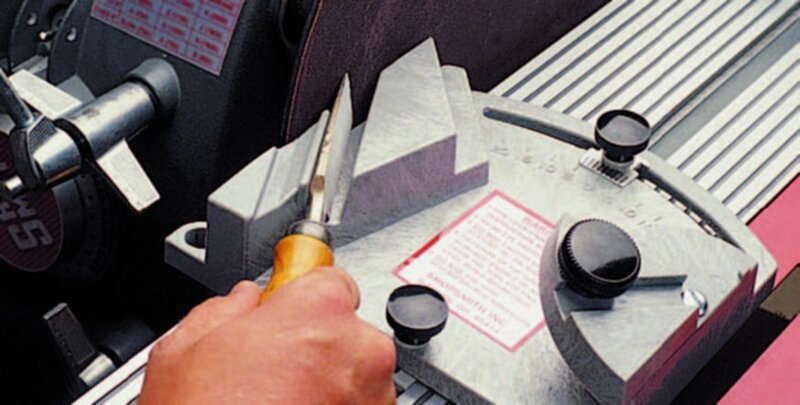 The Sharpening Guide is lightweight, yet extremely durable. In addition to the preset angles, you have adjustable angle settings that give you a personalized bevel to meet your individual needs. 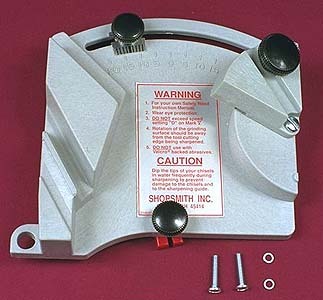 You can mount the Shopsmith Sharpening Guide on your Mark 7 or Mark V worktable for sharpening bench chisels and shaper cutters, or on the extension table for sharpening lathe chisels. In every case, the guide will help you achieve the perfect edge on cutting tools... giving projects requiring cutting a professional look. 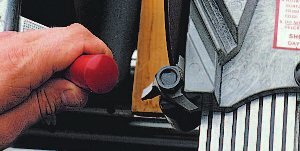 The comprehensive owner's manual tells you how to mount your guide on the Mark 7 and Mark V. And it gives you many tips and techniques that will allow you to get the most out of your guide. Order your Shopsmith Sharpening Guide or package now... and discover the big difference that really sharp chisels can make. Complete Shopsmith Sharpening Guide Package Includes: Shopsmith Sharpening Guide • 12-inch Steel Sanding Disc • 12-inch Cloth-Backed Sandpaper (three pieces, 150 grit aluminum oxide) and • Owner's Manual. 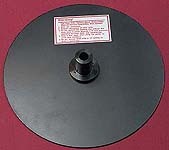 Heavy, 12" diameter steel sanding disc features a precision steel arbor that is carefully attached to eliminate bothersome runout and wobble. Just install the sandpaper disc of your choice, slip the arbor onto your Mark 7 or Mark V spindle and go to work. Replacement sandpaper discs for the sharpening guide.